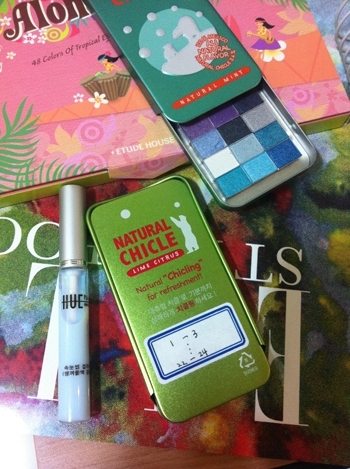 MagazinePAPA: Etude House Eyes product. 1 AM…. I sometimes get disillusioned by something. Something suddenly appeared in brain. 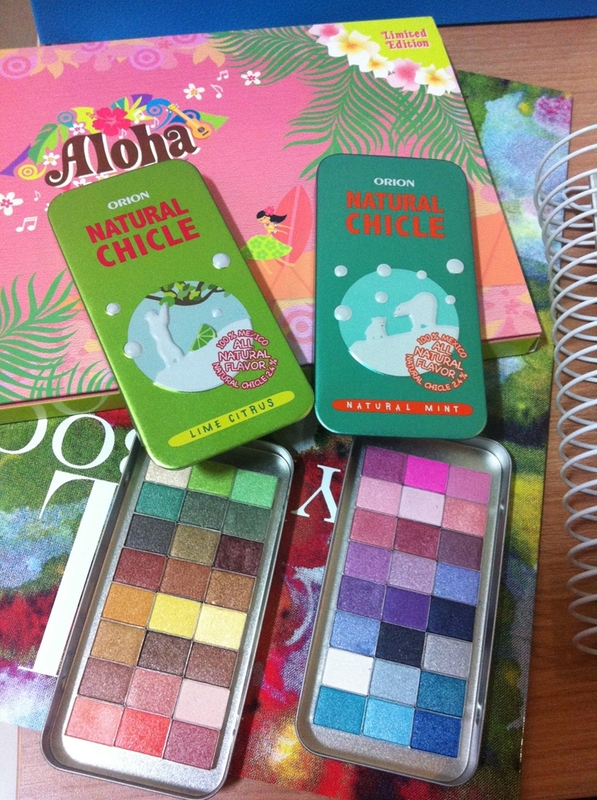 Etude Aloha Tropical Eyes 48 colors. I found the paper and plastic case weird. But they releases cosmetics case made of paper or plastic which is not better than a snack case. I don’t like it anyway…. I didn’t feel like buying it…But I bought it because of the ’48 colors’ and the relatively cheap price. But Still, I don’t like the case. The case is not only not durable but also big. I don’t like big ones! I suddenly came to find three gum cases. And finally, I started to make them as cosmetic cases. In my eyes, it might contain 24 each (3x8). So two cases would be make it. So I made it in midnight. I arranged them according to colors in case of explaining it to bloggers. I numbered the colors 1~48. And I put 1~24 in one case, and 25~48 to the other. but as it is a very small one, I could break it. So I used scissors as you can see with picture. If I fold it in half, it pops out. I stabbed it after pulling it out carefully. I focused very much not to mess up the order. and pink/ violet/ blue were put in mint gum case. but My pride as a artist doesn’t allow it. It may look like a bathroom tile, but I was very satisfied with it. I posted it for ones who feel uncomfortable with things like this, just like me. It is good to keep and students might use it during classes. I used glues for eyelashes on parts short of bond. And in case of forgetting, I marked the order. Hahaha If I studied like this, Magazine Papa might have been Medical Science Papa by now. Mom, Sorry I didn’t study like this. Here goes some correction notice on July class registration. Did you notice that original ‘Plain Class’ changed into Lee Younghyun’s ‘Pure Glam’? It went back to Lee Younghyun’s ‘Plain Class’. Sometimes surprisingly, some classes are consisted of students who never tried eye shadow ever, which makes courses impossible to progress simultaneously. This is why it returned to original ‘Plain Class’. Please check the changes below. Class is comprised with 4 times of natural makeup for curriculum guided for beginners, and class is also separated into 2 during class for enabling close directing according to skin state, progress (e.g., attaching eyelashes) right after basic lessons are over. Like we did in July, makeup artist Lim Chan-yang director join and teach with me. We still take 12 students per class maximum like before, but it’s different in that it is separated from Style class for detailed teaching. As we do start lecture even when students are far short, the classes might be different in student numbers. Please expect us because we continue to study system to realize more professional and systemic 1:1 coaching program! Please note the class hour change!! All classes take 12 students maximum. We lectured total 4 classes on FriFriFriFri, SatSatSatSat, SunSunSunSun… to give students enough time to review what they have learned. Class length is 120 minutes ~180 minutes as per student number. Even if you take this class for the first time, you can leave earlier if you master daily progress. 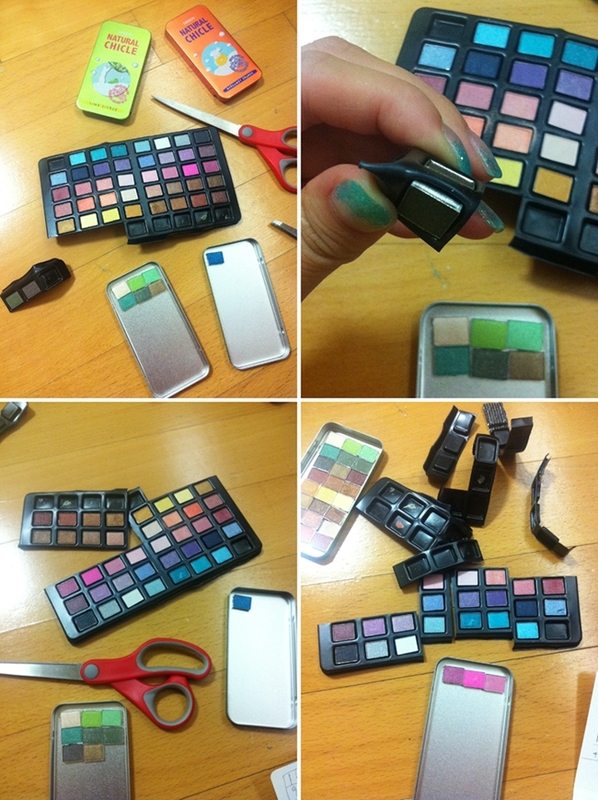 : required equipments including makeup brush are provided. : students are provided with actual makeup brush composition which active artists use when attending classes. After using it freely, student can have 1:1 individual recommendation or students’ personal needs. Honey eye of hate and love. Print is delayed due to a reason that I can tell this month. As continual production seems impossible (unsettled), I set number of copies that is accessible for July students. Provided with recommendation and counseling service for respective makeup style with managing students’ faces, personal data, and beauty/lifestyle systematically. More private service is accessible through personal contact number and mail when become a Loyal Blue. *As ‘Honey Eye’ production became uncertain, ‘makeup spatula’ production is decided. The company offered to make them up from 1000 pieces, so it will cost me a fortune… I guess it’s why my mom told me to watch my mouth. Of course, February/March/April/June students also can access them. -Entering after class started is not allowed. -attend all 4 classes with naked face! -confirming class tuition and registration is available on Piccasso Brush Homepage. Students want quality of 1:1 or 3:1… The one come into my mind when I try to expand class maintain quality is… my teacher. Although my teacher experienced many classes with number of students, as I pursue first-class quality… fixed number is 6. My teacher’s participation makes it 2:6=1:3. Whole classes are progressed in practice. The length is 120 minutes. I was quite surprised when doing last June Style class. Many wanted a lot deeper ‘natural’ makeup than fancy style like smoky makeup. *reenroll for Plain Class is not possible. This is all because of Cho Insung, the handsome guy. Please expect next posting, too. *I won’t make a class-related notice unless special change comes up from now on! You can check whether next month class progresses and ‘Plain’ and ‘Style’ class schedule. Register is also available at every end of month about 25~27.